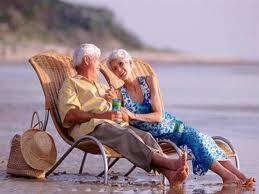 Baby Boomers downsizing! Got it all – now sell it! Funny, I actually went through this myself last year. I ‘purged’ so to speak of things. It feels wonderful to release decades of accumulated ‘ STUFF’. Think of it as finding a home with someone else. It’s very liberating. As seen in this article in Smart Money – Baby Boomers are downsizing and wondering what in the world to do with all the stuff! This is a perfect example of calling a professional Estate Sale company. Calling a company who does this for a living, knows the market and what your belongings will bring, takes another huge level of stress off your ‘to do’ list if you are moving into a smaller home. Many people think Estate Sales are only for people who have recently passed away – NOT! Businesses who need to liquidate their offices, divorce, moving…… Estate Sales are linked to baby boomers downsizing more so today than ever! This entry was posted in Estate Sale blog and tagged Atlanta Estate Sales, Atlanta Seniors, Baby Boomers, Downsizing, estate sales Atlanta, Estatesales.net, Kimy Kennedy, Peachtree City Seniors, Peachtree Estate Sales, Senior Citizens, Smart Money. Bookmark the permalink.